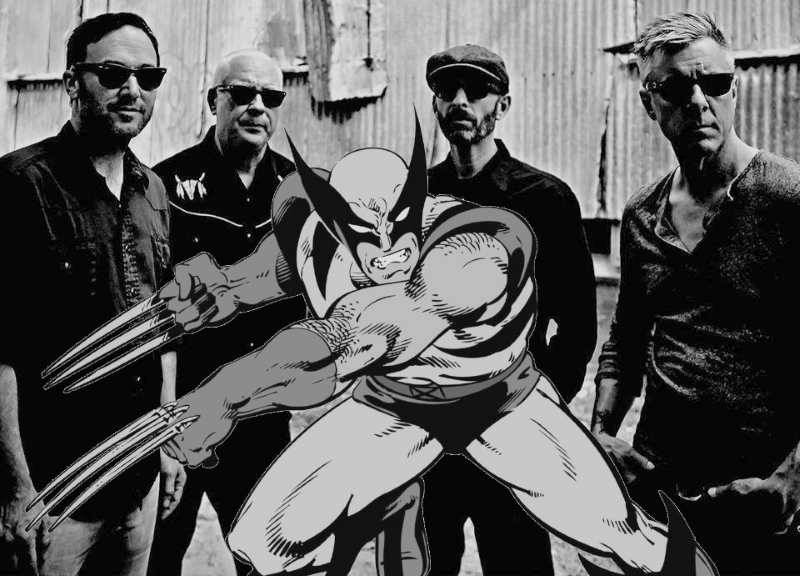 Transmission Pivots Again, Toadies Joins The X-Men And More Bands Reunite. About a year-and-a-half after Tactics Productions joined forces with Austin-based Transmission Events, changing its name to Transmission Dallas in the process, the booking agency responsible for putting shows in Dada, Three Links, Double Wide and several other rooms around town has yet another new identity. It was announced yesterday that real estate company Stratus Properties, previously a minority investor in Transmission, had acquired the rest of the company with the intent of shifting focus to an emphasis on event production, like Transmission's annual Fun Fun Fun Fest. As part of the deal, Transmission co-founder Graham Williams will spin off the club booking arm of the business into a new company called Margin Walker Presents (after the Fugazi song), which will continue to booking shows in Dallas in all of Transmission's old spots. Williams says he also plans on starting a new festival this year now that he no longer owns the rights to the Fun Fun Fun brand. In short, little will change for the casual local music fan other than they'll have to buy tickets to shows from Margin Walker's site instead of Transmission's. So update those bookmarks! Speaking of updates, last week in this space we mentioned KXT's new intimate poolside concert series, Sun Sets, which will no longer take place at the Belmont Hotel. This morning, the station announced the acts playing this summer's shows, which includes Matthew Caws (of Nada Surf) kicking off the season on May 26, and The Wind + The Wave and Madisen Ward & the Mama Bear playing later this summer. Like its old shoeless series, tickets go on sale one week before each show, and they typically get scooped up frustratingly fast. We also recently mentioned how a reunited Record Hop has joined a reunited Lift to Experience on the Rubber Gloves funeral march. Well, now a whole slew of other bands have been added to that final weekend of shows — including Slobberbone, The Marked Men, The Baptist Generals, Terminator 2, Akkolyte, Mandarin, Hogpig, Spooky Folk and Pinkish Black, with more somehow still to come. Also to come? On May 31, a few days before those acts help close the revered Denton dive down for good, the long-defunct Gutterth Podcast will come back for its “final” episode, presenting a show at Gloves that'll include reunion sets from Knee Pad and Dear Human, along with Cerulean Giallo's last-ever show, a performance from Shiny Around the Edges and intermission sets from RTB. Everybody's reuniting, man! That includes the original '70s Alice Cooper lineup, which is said to be working on a new album together, its first since 1973. And to think, the thing that might have spawned it all was a little book signing down on Lower Greenville last fall. Here's something else that's cool: After creating the world's first alcoholic super hero a few years back, Mark Reznicek and the rest of his Toadies bandmates will appear in the August issue of X-Men '92, the sixth book in the throwback X-Men series. Billboard debuted the issue's cover and spoke with the band last week. Moving on, we've got a handful of music videos to share. Ethereal & the Queer Show's got a kaleidoscopic, Windows 95-friendly screen saver to accompany its “Symmetry” single from the new Fairy Super Crystal Blue LP we've already praised a number of times on this site. Another new one comes from Jonathan Tyler, who more or less serves up a leather ad in support of last year's roadhouse stomper “Riverbottom.” Thanks to Leslie Crow Leather, Frye Boots, Bandit Brand and Wrangler for this beautiful clip. On a similar note, Texas Monthly premiered Jessie Frye's new “Big Bad Wolf” video yesterday, spending the bulk of its 200-word write up comparing her fuzzy jacket and combat boots to Shirley Manson's goth-grunge style. And, since you've already seen the Punch Heard 'Round the Baseball World several dozen times already, we'll just leave the following video — which features a North Texas expat narrating the events via a rap set to “In Da Club” — below. Finally, just as it did this time last year, Decks in the Park is asking for crowd-funding to keep its Klyde Warren-set dance parties alive for a fourth straight year. Per this new fundraising effort, it takes $15,000 in production costs to throw each and every Decks in the Park dance party. Thus far — at the time of this writing, anyway — they've raised $20 of a hoped $7,500 goal. Last year's efforts, we should point out, only raised $1,370 of its $30,000 goal and still went off, so they may or not be in trouble.